Everyone know The Police song, De Do Do Do, De Da Da Da? If not, you can have a listen and watch here. Now Romans 7 is difficult enough just on its own terms. But add in the distraction of Sting belting out one of his great hits, well, it’s simply all over (especially after watching the video!). Why Romans 7 and The Police? Actually, did you know Romans 7 causes difficulty? Not because of The Police, but rather because people have been debating for a very long time whether Paul is describing the normal life of a Christian or non-Christian. Now, while some might loathe the idea of utilising our experience to understand Scripture, I wouldn’t say it’s completely terrible. I’m an advocate of something like the Wesleyan quadrilateral that recognises we have more than Scripture alone in helping us understand God’s revelation. Rather this perspective takes a more holistic approach, identifying a) Scripture, b) tradition (there is such things as good tradition), c) reason (not ‘objective rationalism’) and d) experience as important in grasping the revelation of God. So, my point is that understanding Scripture is not completely devoid of our human experience and encounter with God and his truth. Thus, having said that, those 2 well-known verses (Rom 7:15, 19) might parallel something going on in our own lives. But that doesn’t necessarily mean it was given to describe our situation. You see, this banter about whether Paul is describing the Christian or non-Christian life, I think it might just bring us on an adventure of missing the point. Well, I would concede it’s part of the point. But I don’t believe it’s the greater point of Paul in what is our ch.7 (you know Paul didn’t have chapter and verse divides in his letter). What I think happens is that we gloss over a vital statement. And I suppose we miss the larger context of the letter and the sweeping thought of chs.6-8. So maybe we start there. What in the world is going on in Rome? For this letter was written to a particular church in Rome. Paul is writing to a church that is extremely divided. Why? Some 6 to 8 years before Paul wrote to the church, the emperor Claudius had expelled all Jews from the area of Italy (see Acts 18:1-2). Thus, the church became strongly Gentile. But the successor to Claudius, emperor Nero, allowed the Jews to make their way back into this area of the Roman empire. So we have a church situation that has become mainly Gentile over a number of years, which means you have a strong group of people mainly disconnected from the Abrahamic faith of Israel. Mix in a strong group of Jews desiring to see their great heritage fall to the wayside and you’ve got a bit of a challenge. So here is a man with wisdom and pastoral compassion trying to help both Jews and Gentiles. You can sense it right throughout the letter. But what about the difficulty of Romans 7? How does this fit into the Roman context? Well, we could work through chs.6 and 8, but let’s come back to that. This is where 7:1 becomes all-important. Do you not know, brothers and sisters—for I am speaking to those who know the law—that the law has authority over someone only as long as that person lives? Jews! Those who know the law. Yes, Paul does tell us early on in the letter that even those who do not have the Jewish Torah have a law for themselves (see Rom 2:14-15). But, looking at this statement in 7:1, I think it quite clear Paul is speaking to those who know Yahweh’s Torah, as summed up in the Law of Moses. When you realise that Paul is mainly speaking to Jews, in this little interlude between chs.6 and 8, I believe it opens up the passage quite a lot. It’s not so much about whether Paul is describing a Christian or non-Christian, though we can talk about that, and I will. Rather it’s primarily about one who is trying to live under the law. And so I do believe we can ascribe to a Jew, a good Jew in the context of the first century, these words of Paul: For in my inner being I delight in God’s law (7:22). Paul’s not really caught up in our debates about prevenient or irresistible grace. He is describing a good Jew like himself based right in the tension of the first century as things were strongly evolving into the light of the new covenant in Christ. For someone who delights in the law but tries to live under the reign of the law, that person is going to find herself or himself in quite a pickle. Such a Jew might end up arguing with themselves, like Gollum and Smeagol, as seen here. Such a major internal war! This is why the preceding words of ch.6 become extremely important. Especially statements like these: For sin shall no longer be your master, because you are not under the law, but under grace (Rom 6:14). The one joined to Christ has been freed from the reign of both sin and law. Law + sin = a jumbled mixture of problems in a Jew. But living under the reign of grace, as seen and expressed in the faithfulness of Jesus, releases one to ‘serve in the new way of the Spirit, and not in the old way of the written code’ (Rom 7:6). And Paul reminds us of the delivery that takes place in Jesus Christ (7:24-25). Not only that, but ‘through Christ Jesus the law of the Spirit who gives life has set you free from the law of sin and death’ (8:2). ‘Ok, then. But what about 7:25, part b,’ one may ask?! It says: So then, I myself in my mind am a slave to God’s law, but in my sinful nature a slave to the law of sin. Yes, a good Jew will want to be a slave (or obedient) to the torah-law. But that person living in light of their sinful nature, the flesh, will become a slave to the law of sin. It’s reality for Paul, for any Jew. Again, Law + sin = a jumbled mixture of problems in a Jew. This is why Paul could give his list of achievements for being best Jew of the century, but at the same time list his persecution of Christians (see Phil 3:4-6). Living under the reign and lordship of the law is ludicrous, even making one proud of their accomplishments that are contrary to the will of God (and for Paul, that was watching Christians be murdered!). A proper Jew needs releasing from such a view, being drown in the reign of the grace of God in the faithfulness of Jesus. Now, there is no doubt we could think about the application of ch.7 for us, Gentiles, some 2000 years later. Though let me remark that I don’t think it completely possible to think like a Jew, even more a Jew from some 2000 years ago like Paul. Still, we can consider the ease of making our own law (not in a Rom 2 sense, but from an extreme moralistic framework). And, thus, we try and live an overly controlled life under this law, which really ends up wrecking our own hearts and lives, as well as others’. We have to grapple with the practicalities of living under the reign of law rather than the reign of grace. But Paul is talking about those who know the law, the Mosaic torah. In this extremely divided Roman church, he is taking time to address his brothers and sisters in the fleshly heritage. And, so, in a sense, Paul is creating a before and after situation. Jews would have once been driven by their commitment to the precious rule of the law (or maybe they still were). But now it was time to live under the reign of grace, under the new way of the Spirit, under the rule of Christ Jesus. That was the glories of which Paul was proclaiming. This is what Romans 7 is all about, tucked into the middle of a letter to the church in Rome, tucked in between two very telling chapters, that being chs.6 and 8. I think if we remember this, it will help us continue to understand what God has done for us and in us through the faithfulness of Jesus Christ. And it will release us to live more and more under the reign of grace, the Jew first and also the Gentile. This entry was tagged law, Paul, Romans. Bookmark the permalink. I’ve always liked this passage. Especially when Paul cries out, “Who will free me from the body of this death? (ie. the desire but not the ability to follow the law) Thanks be to God–through Jesus Christ our Lord!” Now Christ fulfills all of the law through us. It’s not ours to bear anymore. His yolk is easy and His burden is light. It’s such a proclamation of freedom. I feel so terrible for so many Christians who put themselves BACK under the law (Old and/or New Testament) after accepting Christ as their savior because they think they are now expected to “be good”. NOBODY is “good” except Christ alone, and it’s only in releasing ALL to Him that we begin to experiences goodness in us and coming through us. Thank you for confirming my own beliefs in this crucial area. Interesting and thought-provoking perspective that seems to make a lot of sense: must go away and study again – thanks! Some good thoughts, thanks. Something I find unsatisfactory in New Perspective expositions, though, is a tendency to not look at experience. It is expounded that Law is Torah (not law in general) and that the issue is about Jews and gentiles, that people can be Christians without Torah. Justification is said to be by faith in opposition to any claim it is by Torah, justification by being of God’s Jewish people. But, this doesn’t seem to take vitally enough that something new seems to be being promised. That in faith in Christ there is not just membership of God’s people promised, but there seems to be a practical power not to sin promised. No such power was promised to those who were God’s Torah people. But if such a power is now promised, there ought to be experience of it. It does look like Paul experienced it. But, how many Christians now either experience such a thing, or act as if they had such a power. I’d like those issues discussed! Re Jews, it’s not clear to me if you think Christian Jews are simply ethnic Jews or if they need to practice Torah (I suppose it would be as a disciplinary matter, not as a matter of their salvation). It looks to me like Paul’s times were what might be called ‘revival’ times, when the Spirit was being experienced very powerfully and for much (all?) of the time individually (being filled with the Spirit), and in the community (healings, prophesyings). So, when Paul speaks of walking in the Spirit, he would be understood by the Christians as speaking of something very evident and very practical. The Spirit would be experienced as a very real power by which Christians could put to death the deeds of the flesh. This seems to me to correspond to what was promised, the efficacy of Christ’s death in the giving of the Spirit for people to live as God wanted (far more than ‘just’ (!) dying for sins), contrasted with the Torah, which gave Old Testament Jews no power to do it. And so faith in Christ versus doing the works of the Law (Torah) would not just amount to the inclusion of the Gentiles in God’s people as well as the Jews (which seems to me the main thrust of New Perspective expositions), but to a new sort of life altogether, one in which people are empowered to do God’s will, rather than try to follow the codification of God’s law (Torah). Now, it seems to me that these days it is normal for Christians to have no experience of the Spirit, and things like Romans 8 are expounded as being the hidden workings of the Spirit, that we are to take on faith (not experientially) as present in us. The New Perspective exposition (as I present it above) would be compatible with this. But, it seems to me it is not compatible with what Paul was presenting as his gospel. There still remains the problem of how it is that even Christians who had/have powerful experience of the Spirit in their lives nevertheless don’t manage to be very holy – or what! Re Jews I think there is no longer Jew nor Greek (Gentile) under the New Convenant of grace, so no, I don’t believe Jews need to follow the Torah just because it’s the Torah (Law), but that the Spirit living within them (as it does in all Christians) would allow them to follow the “spirit” of the Torrah – love God, love your neighbor (as Jesus taught). But, no I don’t think they need to follow the minutea of the law any longer. That would be being a slave to the law. I believe the reason most Christians don’t “feel” the Spirit is because they haven’t trully turned over their lives (decisions, thoughts, desires – however you wish to define it – maybe you could also say changed their worldview) to God. He is still a thing OUTSIDE of themselves that they endeavour to understand and adjust themselves to, rather than a living being residing in them that changes how they look at everything in the world, that they filter everything through, and that they live BESIDE/IN (abiding?) every moment of the day. So, they have Christ (salvation), but Christ doesn’t have them (lordship). Another way to look at it is they are “converts”, not disciples. The evangelical church is very good at making converts, but not so good at helping them become disciples. I still think such people are still saved (though others would disagree), but they certainly are not experiencing the true, fulfilling, peaceful “kingdom life” that they could be, which is a shame and a tragedy. I think this situation is a direct result of the way the church started evangelising in the early part of the 20th century. It became about one person reaching as many people as possible, getting butts in the seats – pretty much a numbers game, rather than evangelism being carried forward by ALL Christians on a one by one, one on one basis. People no longer forged relationships with others and showed them what a relationship with God LOOKS like so that they would want that too. It became about getting SAVED, rather than living a renewed life (and that not on your own strength). When that shift happened, we lost something vital in the church. Now it’s rare to find people (although they exist in every denomination and offshoot of Christianity) that truly know what it is to have a changed view of the world and to see people the way the Spirit does. Well, I’ve gone on WAY too long. Thanks for listening and bouncing ideas off me. Thanks for those thoughts. I don’t feel quite yet it’s getting to the nub of what I’m trying to say, which is about both experience and doctrine. Here’s another rehearsal of the issue, then! Wright stresses what Paul is about is furthering the idea of justification by faith of gentiles (and Jews), and so membership of God’s people by faith, as a contrast with membership of God’s people by being a Jew under Torah. 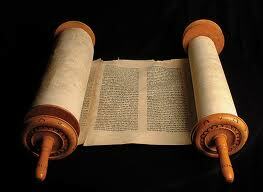 Since membership is no longer by Torah, Torah can be dispensed with and membership is by faith, or trusting in God. I want to stress that the faith/Torah contrast doesn’t go far enough to encompass what Christ has done. Christ’s death has not simply allowed gentiles to be members of God’s family. The trouble with Torah is not just that it makes Jews the exclusive members of God’s family. The trouble with it is that it cannot deal with sin, it cannot empower people to live as God intended. What seems to follow from that is that faith in Christ must bring it about that people can live as God intended. People are now given the power to do it. But, there is a further question. How does that power work? Is it that a power is provided that is available as a resource, that Christians can then use or not. If they use it, they are able to live rightly, but they can also just, so to speak, leave it on the side and not use it. Further, if they decide to not use it, does that mean they will not ultimately be saved. Or, is the power provided such that it doesn’t just come alongside as a resource but it actually transforms people so that, perhaps stumblingly, they will always be trying, and often (?!) succeeding to live rightly. And so, though they will sin, maybe even quite a lot, they will ultimately, inevitably, be saved. So, Torah is something of a resource to help people live rightly, being a code of behaviour, instructions on living rightly, but it doesn’t give adequate power to follow it. The Spirit, coming alongside as a resource, would supply adequate power to live rightly, but would be take it or leave it. The Spirit as transformer would still not make sure people lived rightly, but would be a real change in people to be the sorts of people who would ‘naturally’ tend to want to do what pleased God, and would at least sometimes (!) do it, make them ‘Children of God’ (a good tree bears good fruit). It seems to me that it is only really the ‘transforming’ option that is a decisive change from the Jews under Torah idea. The Spirit as more than only a resource alongside, even though, fair enough, it would be a better resource than Torah. But, if Christians are ‘transformed’ people, how is it they aren’t better than they seem to be in practice? I think the trouble is the way we think about the word “transforming”. We as humans view transformation as a process that progresses from one status (sinful) to eventually an end status (righteousness). But I don’t think that’s what is meant by transforming in regards to the Christian life. We are be being transformed. We ARE transformed and we continue to be transformed because we are a new creature in Christ. We are a person WITH the Spirit, which is a transformed person who is also BEING transformed when we allow the Spirit to work in us. We never arrive at some ultimate goal because we will ALWAYS be weak and fail, and God knows this. That’s why in the New Covenant, we are not expected to hold up our end of the bargain. He does it all. The danger with thinking about transforming as a process is there are times in our lives when we may fail terribly (by human standards), and then feel we have somehow failed God and/or broken the “process” of being transformed. This can lead to frustration which may cause people to “give up” on being a Christian for a time. But is it true that there has been a failure or a reversal of “being transformed”? No, because we are still a new creature with the Spirit within, but are just choosing to ignore that fact at the present time. God promises that He will restore those in such a state, though it could take years. By human standards that person may not look like a Christian at all. Some may even say they were “never really saved” (oh, the number of times I’ve heard that one). This occurs because we, as finite beings traveling through time, view transforming as a process. That’s how the word works in our physical world. But God, being outside of time, seeing us all at once from birth to resurrection, already sees the ultimate end result, and views us as transformed, so our whole life, no matter how LOW we may “fall” (in our own eyes) at any particular (or even MANY particular) places, is a life of being transformed by the Spirit. So, we cannot look at ourselves, and especially others, and attempt to determine by what we see at this moment of time whether we have been transformed “adequately” for how long we have been saved. It just doesn’t work that way. So, that is why Christians may not appear to be where we EXPECT them to be in practice. Thanks for that, Ken. Something to have a good think about!